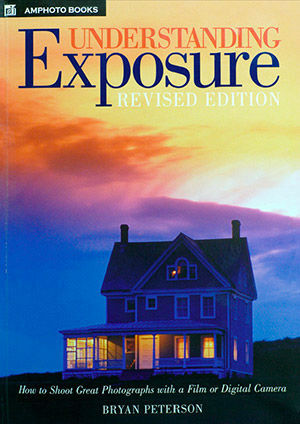 The third edition of this 1990 classic by Bryan Peterson was the most important and influential photography book I’ve ever read and it is the first book that every new photographer should read. The book begins with an explanation of the photographic triangle—aperture, shutter speed and ISO. While every situation has at least six combinations of these three variables that result in a correct exposure, there is only one creatively correct exposure. Each chapter thoroughly discusses Aperture, Shutter speed and ISO, not so much in a technical way but in a creative way. Peterson challenges you to ask yourself this question before you take your photograph: Am I telling a story, isolating my subject, or do I care? Your choice of aperture, shutter speed and ISO depend on your answer to that question for each and every photograph you take. Do I want to freeze motion or imply motion? Am I panning or taking a macro shot? Is it overcast? Is the light coming from the front, side or behind? If you think about these variables and understand the photographic triangle then you will likely always find the creatively correct exposure. 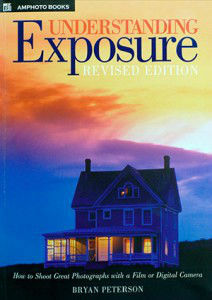 Understanding Exposure is filled with great tips like “Mr. Green Jeans” (expose at -2/3 when there is a lot of green in the scene) and the “Sky Brothers.” (Meter for the sky on sunny days when photographing scene with a lot of whites and blacks or at dusk. Meter your ocean sunsets off the reflected water). As you read this book and certainly by the time you finish reading this book you will have an “I get it” moment. Bryan Peterson is that rare combination of artist and communicator who has the talent to explain how he shoots the works of art he creates with his camera. He holds nothing back and gives it all to his readers in this clear, easy to understand book.